ADDIS ABABA (AFP) - Two Swedish journalists arrested in Ethiopia appeared in court this week, but will remain in detention until September 14 while a police probe continues, a Swedish official said Friday. "They have once again been kept in custody by the judge for another 28 days and that is to prolong the police investigation," Swedish foreign ministry spokesman Anders Jorle told AFP by phone from Stockholm. Photographer Johan Persson and reporter Martin Schibbye appeared in court on Wednesday, but no formal charges have been levelled against them since their July 1 arrest in the town of Jijiga near the Somali border. They were arrested while embedded with rebels of the Ogaden National Liberation Front, opposed to the Ethiopian government. Fighting broke out between the rebels and Ethiopian troops, killing 15 and injuring six, including the journalists. 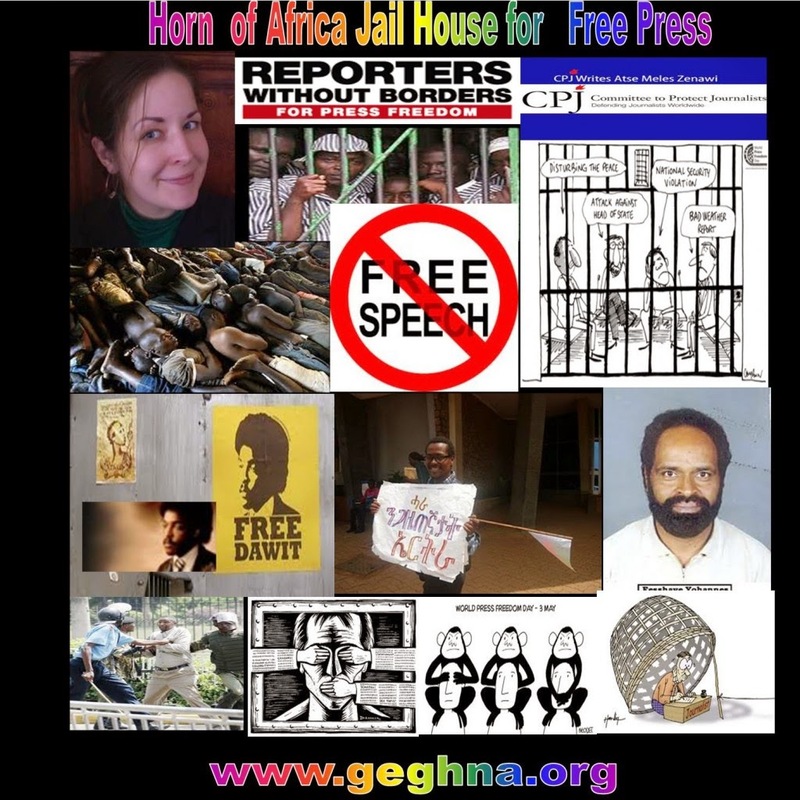 Jorle said the journalists were detained because they refused to show their passports to a border guard when entering Ethiopia. "They entered Ethiopia in an illegal way and (the authorities) are investigating other possible violations against Ethiopian law," Jorle said. The journalists said they were not being mistreated and have had weekly contact with Swedish embassy staff in Addis Ababa, Jorle added. Press freedom watchdog Committee to Protect Journalists condemned the arrests of the journalists last month and called for their release. "These journalists should not be detained for seeking to cover an under-reported story," CPJ's Africa consultant Tom Rhodes said in a statement. Earlier this year, two local journalists were arrested for suspected "terrorist activities" along with several opposition members. Bachmann wins Iowa Republican poll - YouTube: " "
In 2009, when reporting from Southern Ethiopia, I promised myself never to cover another famine. Bearing witness to the death of thousands of people, children for the most part, had worn me out. It’s hard to look at pictures like these, but for me they are especially hard to take. There’s always the risk of falling into the stereotype of an African body – of a child in most cases – worn out by hardship and despair. In the Western countries we are aware of what is happening in Africa, but our souls of privileged citizens are hardly touched by these photographs. For me it’s different, I bring those images and that suffering inside of me for a long time afterwards. They haunt me at night. In the Lake Turkana area of Kenya, nomadic herdsmen are hit hard by a year-long drought that is creating famine in the area. The alarm on famine launched this year pushed me to approach the subject once more. The causes of the present crisis have been ascribed in large part to climate change, a topic I have been working on for sometime with my colleagues at NOOR. I took the decision to give it a second try and set off for Northern Kenya, avoiding places besieged by the media circus, like the Dadaab refugee camp, near the border with Somalia. In North-western Kenya, between the Sudanese border and the Ethiopian border, the drought has been claiming many lives among the agro-pastoral communities of the Turkana people, who inhabit the region around the Lake Turkana. As I am told, the drought is affecting only part of the region, but such unevenness has triggered another tragedy: livestock-rustling. Communities badly affected by the drought start looking for new pastures for their goatherds, camels or cattle, attacking and trying to uproot the communities already settled in the occupied areas. It’s a desperate fight for resources, which respects no law and no border. Luckily, so far I haven’t witnessed any deaths in the central Turkana district, where I have already spent a few days. The drought is severe. Rainfalls have failed for over a year in some areas, in others for five. View more of Zizola's images from northern Kenya. See more coverage of the drought and famine hitting the Horn of Africa.